Thank you all for your kind comments on my last post. I had several hundred more views than is normal, so I feel encouraged to write more about this topic. In fact, I'm even considering doing an e-book. So, thank you for the support. I so appreciate it. Also, thanks to many of your comments and some (gentle) pressure on the home front, we are going to keep our mural in the foyer. Seems I've been outvoted, but that's okay. That tells me I really am okay with it, because usually if I really want something (like growing out the bleached blond hair and going natural), I'll do it despite the opposition! Today, I'm going to share with you a weekly to-do chart I've come up with. I live by lists. Daily and weekly and seasonal to-do lists, shopping lists, Christmas planning lists, you name it. I couldn't have planned my daughter's wedding without a whole notebook of lists. If it's organized on paper, and all I have to do is do what it tells me and check it off, that's half the battle right there. I write everything down. Except, I realized, the daily, everyday tasks. And lately, I've realized how annoying it is that my list of daily to-do's is always playing and re-playing in my mind as I go through the day. Not things like write a letter to my mom or buy a present for someone or RSVP to an invitation. Those things I write down. I'm talking about that running list of everyday to-do's -- make the bed, do the dishes, make dinner, clean the kitty litter, take vitamins. I have these tasks all arranged in a certain order in my mind, and I find myself running through the list many times during the day. There are items on that list, like vacuuming, that I don't do every day, but it's still on the list so I can think about whether I need to vacuum that day. I had over 15 things I was repeating over and over, with a list of secondary items, things like write a blog post or work on my knitting, claiming my attention and just taking up too much mental space. And even if I had already made my bed or cleaned the kitty litter, I was running the whole list, including those items, through my mind again whenever I thought about what I needed to finish for the day. I found a chart on my Mac Pages that is actually an attendance chart and modified it for my use. There are tons of free daily and weekly planning charts available online, and whole systems of household management worksheets you can find. Usually I end up modifying them so much that it's easier to make my own. And for this purpose, I don't want to carry around a whole binder; I just want one sheet of paper for the week that will cover just the daily to-do's. Sorry that it's a little hard to see. (It got cut off, but I do have a column for Sunday; I just don't put any unnecessary chores on that day.) The chart is roughly divided into four categories. Spiritual, I guess for lack of a better word, daily chores, health, and fun stuff I hope to fit in. I'm a little embarrassed to share the second item with you. "Do something kind" seems disingenuous, like if I do it just because I need to cross it off a list I'm not really being sincere. But honestly, sometimes I just need to be reminded. I want to be that kind of person. And it ain't always just gonna happen! Sometimes the day will easily present opportunities. Like someone out of state is having surgery. I can't be there so I send off a care package. Someone's sick and I take them some soup. But other days I might have to pray to find some extra kindness to do for someone. "Pray" is another strange one to have on a list. I don't just pray once and then check it off. I tend to pray throughout the day. So this is one that never really gets checked. Not sure why I have it on the list. It wasn't on my previous mental list of things to do, but when I see it there in black and white as I'm checking things off, I get a little reminder to pray for someone. "Call/text/write family/friend." Only introverts will understand this on a list!! I can go through a whole day happily occupied all by myself. Too much of that, though, and I can end up isolated and self-absorbed. This reminds me to stay connected, and I'm always happier when I do so. The rest of the chart is fairly self-explanatory. I have vacuuming down on Mondays and Fridays. But I don't worry too much if I don't check that off on the exact day, just as long as I try to vacuum twice during the week. (I don't vacuum the whole house twice a week; I do the upstairs one day and the downstairs another day). Same thing with bathrooms. I don't clean everything twice a week. But I try to work on it twice a week so everything gets cleaned at least once during the week. On the back of this chart, on the reverse side of the paper, I write out the days of the week and handwrite any special things I have to do on each day that aren't part of the regularly scheduled items. These include things like appointments, errands, meetings, phone calls to be made, etc. So, there you have it . . . Does anybody else do anything like this? Anybody found a good system for keeping themselves organized on a daily basis? We finally got to the apple orchard. It is the thing to do here in Michigan in the fall. Everybody goes to pick apples and pumpkins and have cider and donuts. 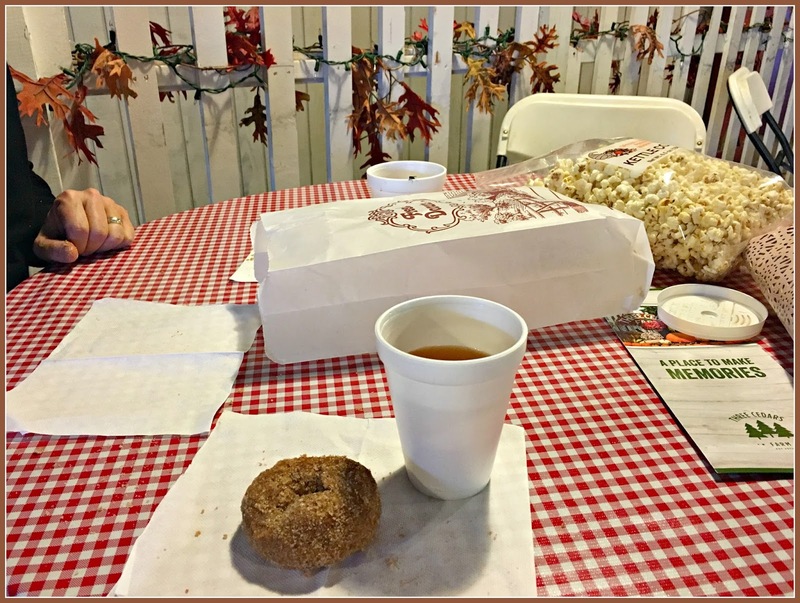 It wouldn't be fall without at least one cinnamon donut from the cider mill. Or, in our case, more than one. That's my husband's hand there. He had three donuts! I ate mine before I took a picture, so had to get another one out of the bag for this picture. I have to admit, dear reader, that I ended up eating this one too. Move "work on the book" WAY up this list. Your fans want it! I really should have a list like this! I've gotten really slack since losing my dear husband. I just don't care as much. Sigh. I have seasonal lists and major events type lists shopping lists etc but have never thought about a daily list. Such a great idea. Those doughnuts look amazing, I would definitely have had to have more than one. That's a great list, Deborah. I think if more of us did that we wouldn't get so bogged down in trying to get caught up with house work and other things. With the holidays fast approaching, it is so important to have a "To Do List." I love your writings. You always have something fresh to share with us and I appreciate the honest way in which you deliver your posts. You really are an inspiration and a blessing to those of us in Blogland. Well your list is impressive! I have lists of things I need to work on, apart from the day-to-day tasks. I might do up a list of things I want to accomplish in one day if I'm feeling a bit behind, but I think writing up a list of daily things would bog me down too much. Interesting to see how everyone deals with their chores. I'm a retired project manager, so I live by lists, too....always have, always will. And - boy - do those donuts look good. 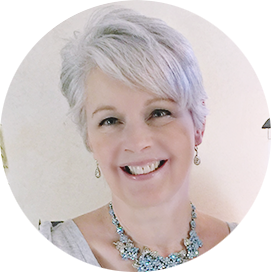 Thank you Deborah for your list; I am usually a follower of the Flylady system but sometimes I start to 'wing it' and that's when I find myself going down the slippery slope! I too am an introvert and for the past few months have been recording my attempts to connect daily (doesn't always happen but improving). I used to live by lists and then over the past few years stopped for some reason...feeling the need to get back on track, get organized...I think I need a list too!~ Love yours! Mind if I use it? Thanks for posting, might be just what I needed to see! I think it's great that you have a daily list. For myself, I forget minor things like cleaning the birdcage, purging the linen closet, etc. Sometimes it is just too small to go on a To Do list but not huge enough for my planner. What you are suggesting is perfect! Ooh I love your list, dearest Deborah! I do have a system in my mind, but maybe I'd do better with a list. As for groceries, I always have a list. What I do love about list, is the checking off...such a feeling of accomplishment. When we lived in Ohio, we always went for cider and donuts in the Fall. I'm glad that you and your hubby had some special time together. Have a beautiful day, my friend! I miss the cider and donuts from Michigan. Those trips we took to little markets out and about for this special fall treat. So glad you enjoyed it with your beloved. Enjoy the day and blessings to you!! For big events...holiday dinners count in that...I must also keep lists. They'd be overwhelming to me for everyday chores, I think. But to each her own...whatever works! I couldn't function w/out my daily/weekly, handwritten lists. Have you noticed that when you "write" something down, it sticks w/you better than if you just type it? And that from someone who was always getting yelled out by the nuns for my terrible penmanship. I never did master the Palmer method. My writing was and is a mixture of American Catholic School mixed with my French father's totally idiosyncratic scrawl. Mme Mère wrote everything down and kept daily lists into her nineties. I need to send you a long email regarding your last post. It touched me more than you know and in ways you would never suspect. I salute your courage. Will be in touch. Hi Deborah~~ I'm a list girl too but I really like the way you have designed yours. As I'm getting older I'm finding out that I need to make a list for far more than I used to, even chores around the home. I'm amazed at some of the things I now forget that I would have NEVER forgotten when I was younger. Thank you for sharing with us your beautiful ways. We enjoyed those Apple orchards in Canada when the girls were young. I would have eaten the second donut too! So glad you ate the second donut! :-) I had to laugh, because I am ~ and always have been ~ addicted to lists. And I am not certain that it really helps in the end. My lists are not as diligent as yours, mostly stuff I am fairly certain I will forget to do at all if I don't write it down... I recently found my list for "things to do (a.k.a. finish) in the New Year. Not many of them got done, er... finished. But there is always next year's list! Oh wow, Deb...your list making skills are quite impressive! I do make lists for many reasons but do not have the organization skills such as this. I have to admit that I am somewhat of a procrastinator and usually work best under pressure. I am thrilled to hear you will be writing that book! You go girl! Hello Deborah, wow your to do list is really organized and impressive. I too make my lists from week to week of what to do and so on. Wow!! that's very nice.. Whenever I make a list of to do, then I can do way more things in a day..
You are super at organizing your daily life. 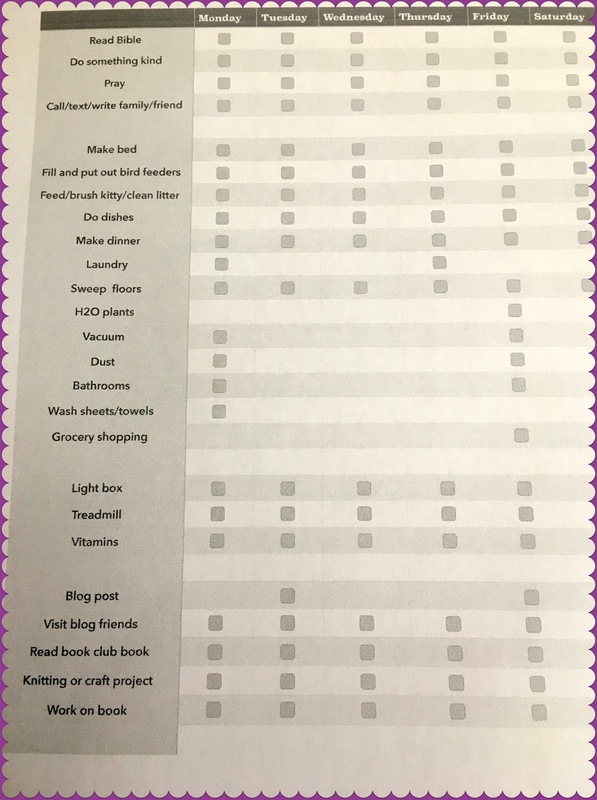 I've worked a bit with blogger friend Celia M.'s Day Planner but I'm not yet there at the level where I could start my regular routine. Still a few big obstacles to be tackled. Celia M. had to do all this as she got hit by a car 9 years ago and had brain injury. 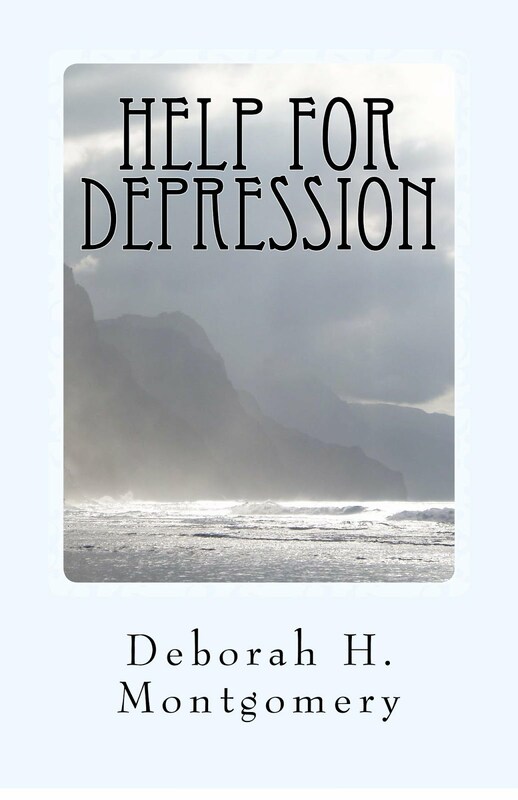 She had to start life all over and talking about feeling depressed... she could write a book about it. Her blog is inspirational and she's doing such wonderful things for others. It always helps, knowing that we're not alone when struggling with life.